Calling all Junior High and High School students! 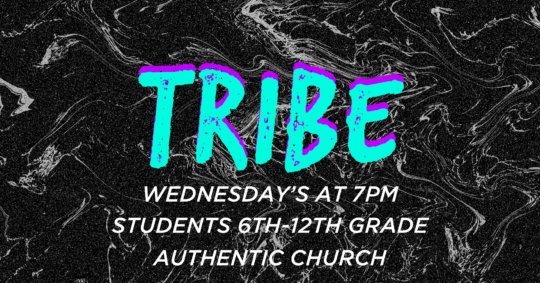 All 6th thru 12th graders are welcome to join us Wednesdays at 7PM for Tribe. Tribe is our student ministry, and we’d love to have you join us. Whether you already come to church, have never set foot in a church, or live next door to church, stop by and stop by and have a blast!